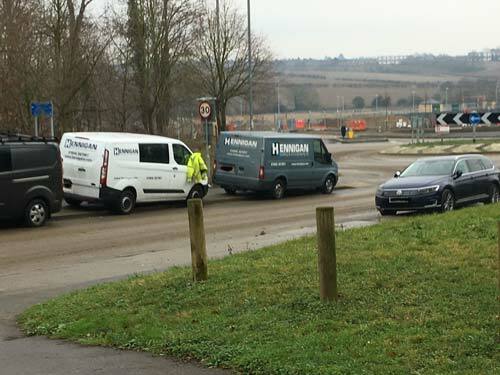 The parish council and Ward Councillor Steve Dixon have been speaking to CBC Planning enforcement regarding the inconsiderate and dangerous parking from the new site off Eliot Way as well as the mud on the road. A CBC Enforcement Officer discussed these various issues with the site foreman yesterday (Thursday, January 24). The contractor parking will be on site and they are going to erect some heras fencing on the grass verge to stop people parking there. The mud on the road is to be cleaned on a daily basis and CBC have advised the site foreman that they should be cleaning the wheels if needed before vehicles leave the site as per their construction management plan. The Council issues regular email newsletters with the aim of residents informed. If you wish to subscribe please click this link . If you are planning an extension or a conservatory and need advice on planning procedures, please check this CBC link first. If it does not answer your question then email CBC using this link. Copyright © 2019 by Fairfield Parish Council. Theme: DW Focus by DesignWall.